- USB 3.0 Boost (UASP Support) - 170% faster transfer speeds than traditional USB 3.0. We are the world's biggest motherboard manufacturer, and renowned our design thinking that revolves around users – just like you. Our engineers employ exacting standards to guarantee quality throughout the product's life, choosing the finest components for real-world protection. Our motherboards are proven to be compatible with more than 1,000 components and devices, and undergo a minimum of 7,000 hours of strict validation. That gives you the peace of mind of knowing that ASUS motherboards are fit for all environments and applications. To build your PC with the best foundations, build it with an ASUS motherboard. Our be-the-best ethos underscores the choice of every single component that goes into your ASUS motherboard. We focus relentlessly on quality to ensure long-term system reliability and performance. Onboard resettable fuses prevent overcurrent and short-circuit damage. This extends beyond I/O ports to DRAM to safeguard the lifespan of both your system and connected device. ASUS motherboard back I/O panels are made from strong and corrosion-resistant stainless steel, which is bonded with a thin layer of chromium oxide to enhance anti-corrosive properties. Passing 72-hour spray salt endurance tests, ASUS stainless steel back I/O panels have a lifespan that's three times (3X) longer compared to ordinary panels. Every ASUS motherboard is compatible with thousands of devices. Our engineers fit and assess both server and consumer CPUs, hundreds of memory modules, dozens of graphics cards, loads of storage devices, power supplies, network devices, displays, optical drives, peripherals and many more. We do this to give you complete confidence in our products and their superb compatibility. We're so confident in our motherboards' superior compatibility that we publish our entire QVL for all to see — delivering you more choices for worry-free PC-building experiences. There are no gaps in our QVL: every compatible component is on the list for all to see. To check that a particular component or device is compatible with your motherboard, just reference the QVL for instant reassurance. 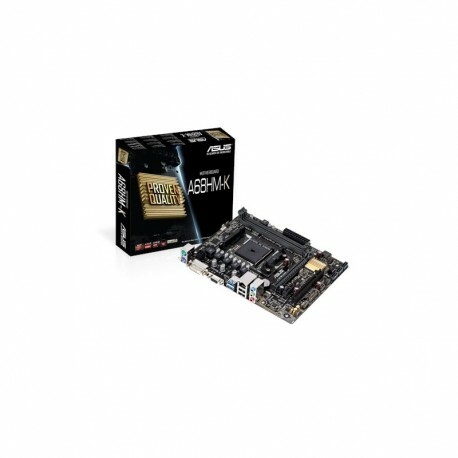 When you choose an ASUS motherboard, it's likely you'll also go with ASUS for other components. ASUS designs products from the ground up so that graphics cards, sound cards and optical drives work flawlessly with your motherboard. Our motherboards have superb endurance. We verify this by subjecting every board to over 7,000 hours of stringent tests. A barrage of burn-in, environmental, compatibility, software and safety tests confirm that our motherboards are exceptionally robust — with reliability that surpasses industry standards. Each motherboard is subjected to extended reliability testing under heavy load conditions, from the transportation to daily operations, to make sure they are delivered to you in perfect condition. Trials include temperature and humidity, burn-in, power on/off, power consumption, insertion and thermal-shock testing among many others. Every certified-compatible component puts through an up to 24-hour aging test to ensure trouble-free operation every day – no matter what you fit or attach and no matter what you do! ASUS Fan Xpert intelligently allows you to adjust CPU and case fan speeds according to different ambient temperatures in diverse climate conditions and locations, as well as actual PC loading. Various preset fan performance profiles offer flexible fan speed controls to achieve a quiet and cool environment. We understand how you use your PC. From assembly, system setting and monitoring, and to firmware and hardware updates — we're all about making your life easier. That's why we never stop developing new and exciting DIY opportunities to make PC DIY easy, fun and free from hassle! This motherboard fully supports the latest AMD Socket FM2+ Kaveri APUs with AMD Radeon R series graphics and retains compatibility with AMD Socket FM2 (Richland and Trinity) APUs. AMD Socket FM2+ APUs support Microsoft® DirectX 11.1 for incredibly fast and smooth graphics, native PCI Express 3.0 for full-speed expansion and 4K resolutions via HDMI and DisplayPort connections. AMD® A68HFCH(Bolton D2H) is designed to support up to 5GT/s interface speed and PCI Express™ 2.0 graphics.It supports 4X SATA 6 Gb/s ports and 2X USB3.0 ports.